ArtRatio takes the privacy of its users seriously. We are committed to safeguarding the privacy of our users while providing a personalised and valuable service. This policy applies to information held about clients and prospective clients, suppliers and prospective suppliers, contacts and all other persons about whom ArtRatio holds information. 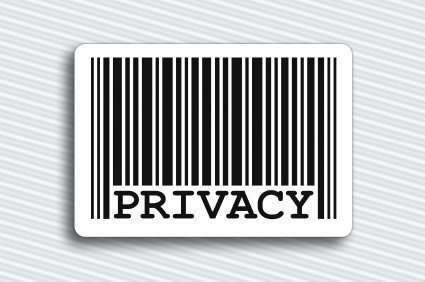 By ‘information,’ we mean personal information about you that we collect, use, share and store. In this policy, “we,” “us,” and “our” means ArtRatio S.L. (trading as ArtRatio), a company registered in Spain with Fiscal Code ESB53944633, and with our registered office at Ronda Vall d’Uxó 125, 03206 Elche (Alicante), Spain and “you” means the individual to whom the information relates. We are the data controller and we operate our websites www.artratio.co.uk, www.artratio.es, and www.artratio.eu (the “Sites“). We may collect and store the following types of information about you when you use the Sites or by corresponding with us (for example, by e-mail). information in relation to your purchase of our products or use of our services. Where you are one of our clients or have otherwise agreed to be contacted for marketing we may use your personal information to send you information about products, services, and marketing events. You can stop receiving marketing messages from us at any time by clicking the ‘Unsubscribe’ link at the bottom of any email we send you. Where we are permitted to send you direct marketing communications we may retain your contact information necessary for this purpose, for as long as you do not unsubscribe from receiving the same from us. When we, or our permitted third parties, transfer your information outside the European Economic Area, we or they will impose obligations on the recipients of that data to protect your information to the standard required in the European Economic Area or otherwise require the recipient to subscribe to international frameworks intended to enable secure data sharing. In the case of transfers by us, we may also transfer your information where: (i) the transfer is to a country deemed to provide adequate protection of your information by the European Commission; or (ii) where you have consented to the transfer. A cookie in no way gives us access to your computer or any information about you, other than the data you choose to share with us. You can choose to accept or decline cookies. Most web browsers automatically accept cookies, but you can usually modify your browser setting to decline cookies if you prefer. The “Help” or “Internet Settings” functions within your browser should tell you how. Please be aware that that if you select to refuse or restrict cookies you may be unable to access certain parts of our Sites. We use traffic log cookies to identify which pages are being used. This helps us analyse data about web page traffic and improve our Sites in order to tailor it to customer needs. We only use this information for statistical analysis purposes; these cookies cannot be used to identify individuals. Our Sites may contain links to other websites, including via our social media buttons. While we try to link only to websites that share our high standards and respect for privacy, we are not responsible for the content, security, or privacy practices employed by other websites and a link does not constitute an endorsement of that website.